Do you still have drawers around your place filled with dated microUSB cables? It's 2017, and USB-C has been proliferating down the phone spectrum. It won't be long now until even low-end devices are sporting the world's newest and best USB connector. You had better get prepared, and the first step is replacing all those old cables. Here's a 40% off deal ($11.99) via coupon code for a 6-pack of assorted length Choetech USB-C to USB-C cables at Amazon. Welcome to the future. These cables are nothing special. They aren't Benson approved — may his passage cleanse the world (of bad cables) — and they don't support full USB 3 speeds. But they are inexpensive, with decent reviews, and you get a range of lengths. 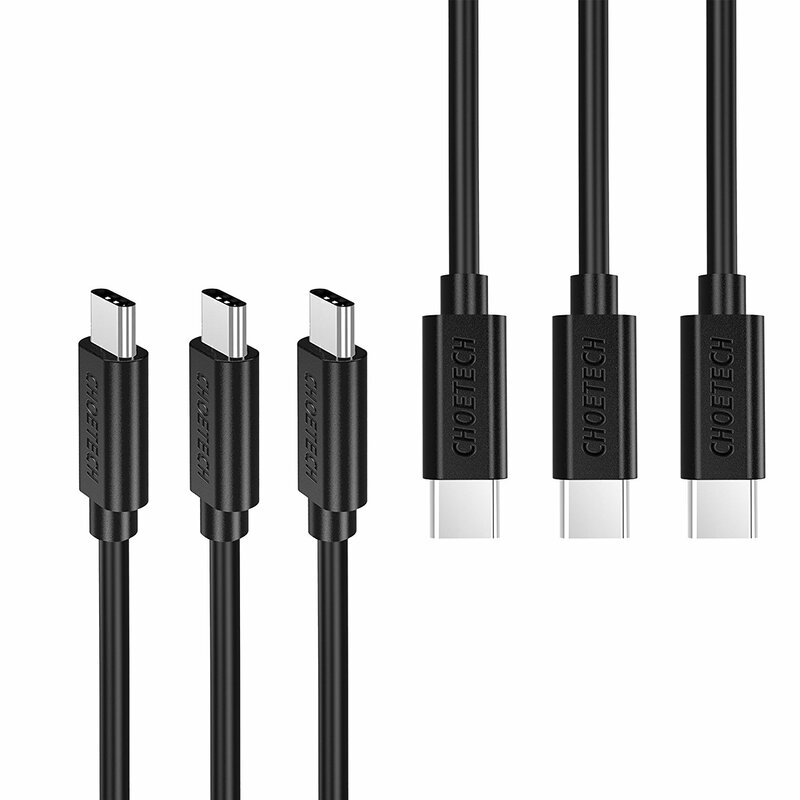 One cable at 1.6' long, four at 3.3', and one at 6.6'. To pick them up remember to enter the coupon code SRDH6KHE during the checkout process, at least, if you want the $8 off. 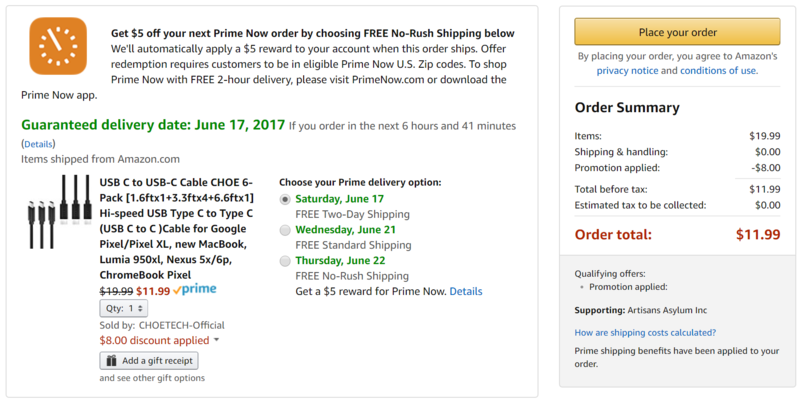 And if you don't have Amazon Prime or meet the minimum order size, you may have to pay for shipping. It isn't a bad deal at $12 if you need some cheap cables. And if you are concerned, you can always make use of one of our other deals to watch the current levels yourself. Not that it would provide a guarantee of safety, but at least you'll know if they go over spec.